Yahoo! Connected TV, a software program installed in a number of Internet-ready television sets, will soon allow producers and advertisers to enhance the viewing experience with a variety of interactive features, the company announced at CES. 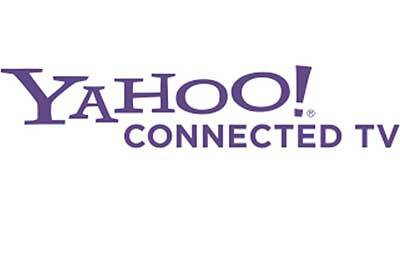 At CES, we spoke with Ronald Jacoby, VP of the Connected TV Group at Yahoo! for this overview on the product and the functionality. Here's the take on the news by Rafe Needleman at CNET. Rafe also reports on a news of a stand-alone box which can be purchased to bring Yahoo to TV's which are not programmed with the company's software. Here is a round-up story on CES and connected TV's by Brian Stelter in The New York Times. Providing context is one way that Yahoo hopes to stand out against YouTube, as both pursue original premium content strategies. Television and movie content has finally reached the biggest screen in the house. Now what? Two case studies from the Content Delivery Summit show how big companies overcame big obstacles. CES 2011 was full of gorgeous video gadgets, including mobile, 3D, streaming, broadcast, consumer, and production devices. Here's our informal survey of some of the video highlights from the show. What Will Tomorrow’s TV Look Like? CES panel looks at the future of television and searches for next big thing. The takeaway? Don't simplify into a lean-back vs. lean-forward mindset. The measurement company looks at which sites are serving the most videos and which are serving the most ads.